The Real (Desperate) Housewives of Columbia County opened to a fine review at the Laurie Beechman Theater at the West Bank Cafe in NYC. Congratulations to our own Constance Lopez, her fellow housewives Meg Dooley, Deidre Bollinger, Lisa Franklin, and writer Carl Richie. Constance Lopez (Co-Producer & Choreographer in Residence): Connie's production credits include Broken Glass by Arthur Miller, They're Playing Our Song, Cabaret, Ragtime the usical, Barefoot In The Park, Chicago, Man Of La Mancha, and Agnes of God by John Pielmier. Connie is also in demand as an actress and choreographer, having garnered multiple TANYS awards for performance and choreography. She has appeared as Mother in Ragtime, The Musical, Roxie and Velma in Chicago, Agnes and Dr. Livingston in Agnes of God, Sylvia in Broken Glass, and as the M.C. and Sally in Cabaret. 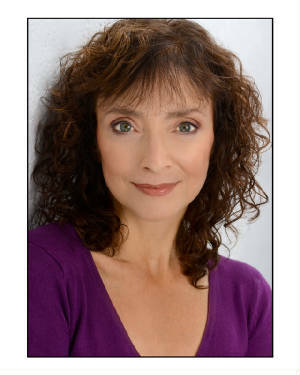 Connie has also performed in a variety of classical works including Puck in A Midsummer Night's Dream, Petra in Ibsen’s An Enemy of the People, Joan in Shaw’s St. Joan, and the title role in Sophocles Antigone. Film credits include: Niagra, Niagra, Taking Woodstock, A Place Beyond The Pines, and two new films currently in post-production among other commercials and industrials. She has performed off-Broadway & regionally.